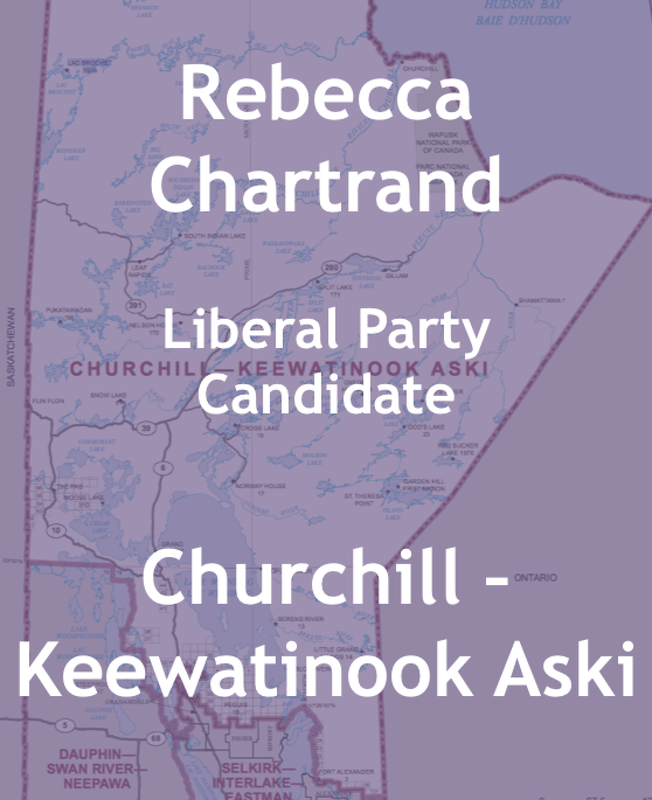 Rebecca Chartrand is Anishinaabe and Métis with roots the Pine Creek First Nation, she is the Liberal Party’s candidate for Churchill - Keewatinook Aski, MB. 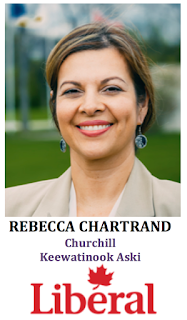 -Rebecca has a notable background working in the education field, she is an Educational Consultant and is known for developing innovative educational programs and policies with Manitoba school boards and institutions. 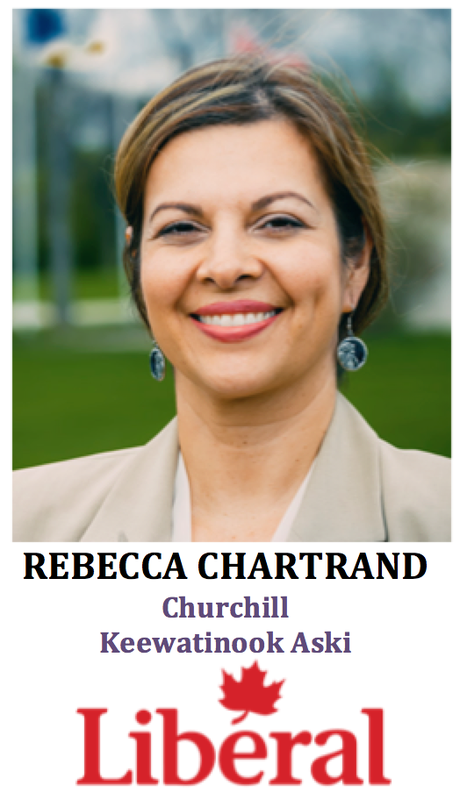 -Some of the organizations she has worked with or led include: Indigenous educational advisory committee for the Canadian Museum for Human Rights. The Canadian Teachers Federal Aboriginal Voice Working Group and the Manitoba Teachers Society – Indigenous Voice and Action Committee. “Those Damns Squaws” which dealt with issue of violence against women. -She has a long list of awards and accolades that include: 2011 Indspire Award- Innovation in Educator Award; 2011-Manitoba Aboriginal Circle of Educators Award – Sustaining Our Ways; 2009 Urban Aboriginal Economic Development Award – for Anishinaabe Pedagogy article; 2009 Founded CAEM- Council for Aboriginal Education in Manitoba, affiliated with the Manitoba Teachers Society; 2001 Canadian Race Relations Award – Excellence in education; 2000 Canadian Aboriginal Music Award, best Traditional/Contemporary CD; 1997 Governor General Award – Academics. 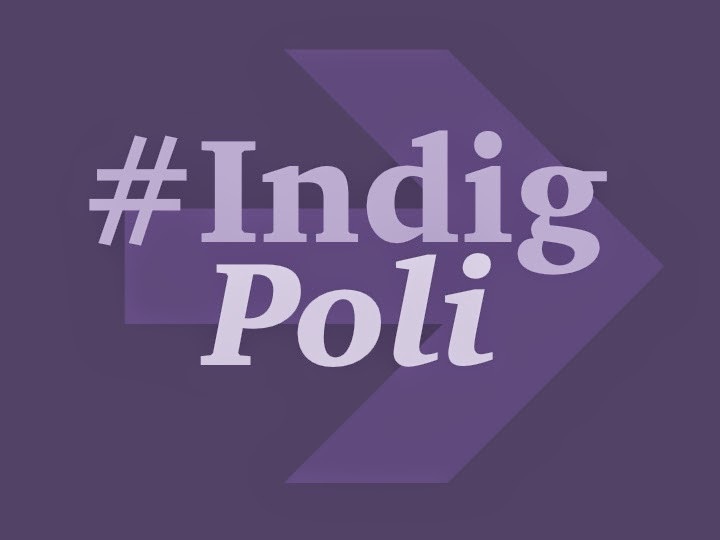 -The riding has a history of electing NDP and Liberal MPs, including notable Liberal Indigenous MPs: Actress and advocate Tina Keeper and political trailblazer, the late Elijah Harper. 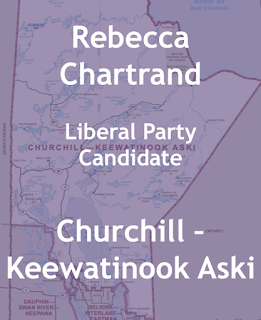 -The current MP is Niki Ashton the daughter of the provincial NDP Minister Steve Ashton who serves much of the same region. Niki has been the NDP’s critic for Aboriginal and Northern Affairs and is also known for her Aboriginal advocacy work. 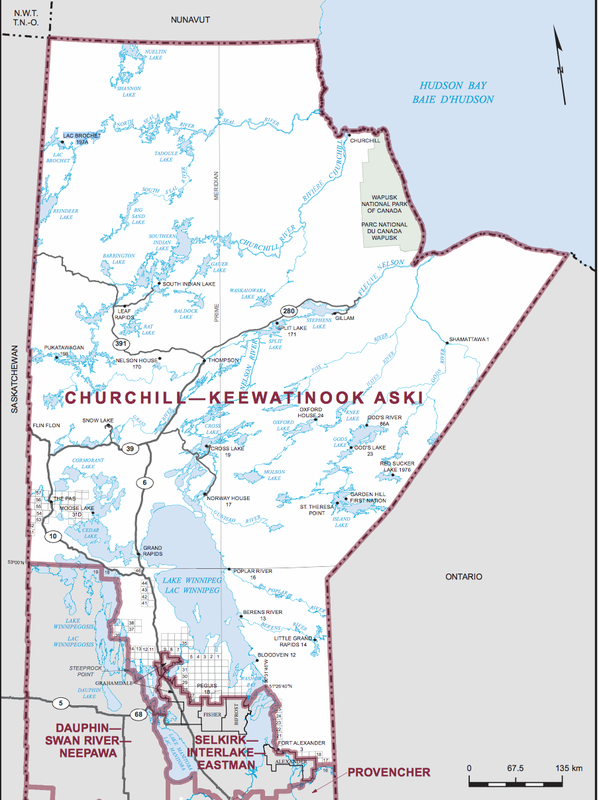 -Churchill Keewatinook-Aski has a large Aboriginal population, 74.7% of total Canadian citizens in the riding (2011 Census NHS). -The riding also has the largest Aboriginal population out of any riding in Canada with almost 62,000 First Nation, Metis and Inuit people. 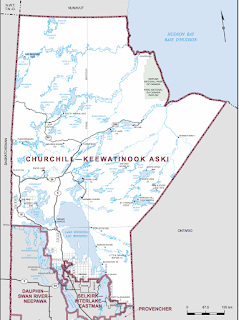 It includes several Cree, Metis and Anishinaabe First Nation communities.